The stimulation to get myself a BlackBerry Smartphone was so full of zip in my cleverness - of course not knowing the emotional mistreatment I was getting myself into. 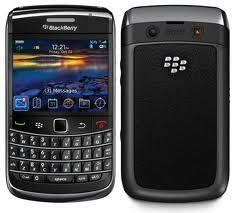 It's been less than a year using my BB Smart phone, yet the hand-set has proved by no means to be a durable phone, with all the prim and proper feature(s) that put shame to the rest in the technology track field such as processors, memory RAM, operating systems and interconnected applications, BB has added more baggage. The main problem I have encountered was that the phone freezes a lot and that somehow delayed me in making important calls, it took it much further when I was irritated by the dysfunctional scroll button. Less than a year I have spent 700ZA for only repairs. Honestly this is maltreatment, imagine when this BB is gone for repairs how emotional you become like a confused puppy wondering in the streets trying to get home. With BBM they have used Psychology to keep we hooked emotionally to these hand-sets. Using 'Connected Apps', BBM, UberSocial and many other little trims that take over your life like uncles coming to pay lobola (dowry). I feel sorry for RIM because they have fooled us with good software and good looking advanced smart phones, while appearing like we are hypnotized to keep on purchasing this phone. As the war goes on between the iPhone and the BlackBerry top contenders, it is very obvious that the iPhone is more superior in functionality and longevity, but the BlackBerry has replaced our hearts, with every flick of the 'red' LED light being our heartbeats, which is very sad because what happens when your cardiac system is not healthy? RIM needs to put proper safeguards against such. Improving the software is really stupid (if you ask me) if it far surpasses the hardware. Why cook a French omelette in a Zink pot? It makes no sense. We by no means plotting against the fall of Research In Motion, they just need to get their act together and respect us as consumers. I mean ICASA needs to take part here because it approved this hand-set, so be it our communication is highly hindered. Truth is spoken without BBM Blackberry belongs to the debris.